Diamonds are the most precious stones known to man and to receive a gift of diamonds is one of the most beautiful presents a woman can receive. Diamonds are a timeless gift, a great investment and look gorgeous on all skin tones. 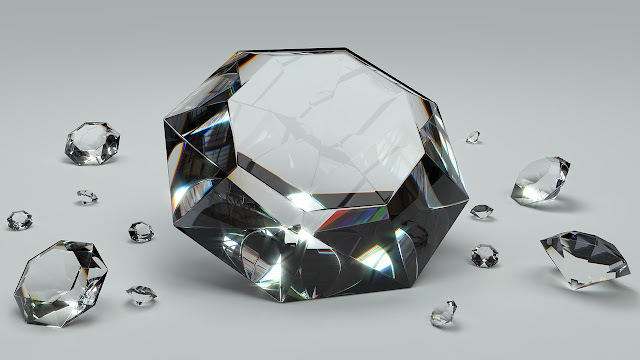 The sparkle of a diamond due to the way the stone is cut and shaped is especially alluring, the diamond reflects light that gives the stone a life and a brilliance not seen in other stones. Diamonds are a traditional gift at Christmas and I think most women would love a gorgeous diamond under their Christmas tree, but of course diamonds are not cheap, and so they shouldn't be. That would make them less precious. To save up for a piece of diamond jewellery can take some time but why not enter this fabulous competition by Diamond Dealer Direct, and you could win a pair of scintillating diamond earrings? 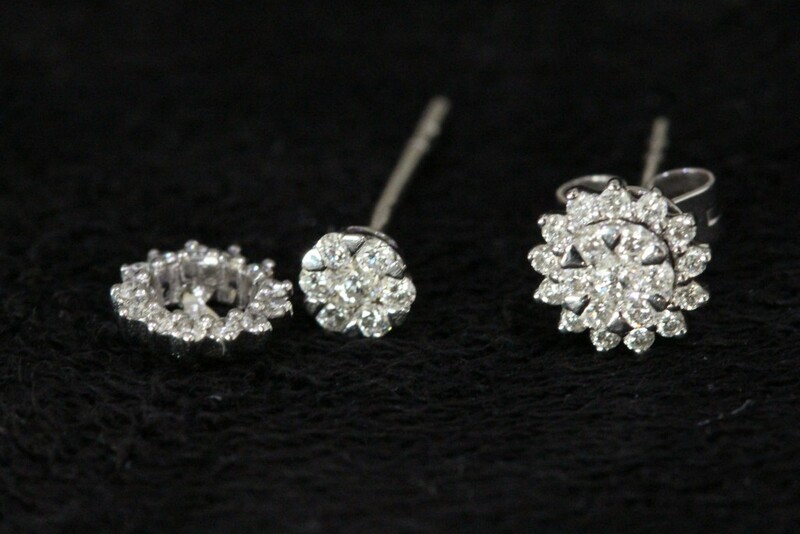 Diamond Dealer Direct are giving away a pair of beautiful diamond earrings in 18 ct gold on their Facebook page. With around 40 little diamonds making up 0.32 carats these dainty earrings would be a brilliant prize. What's so special about these earrings is the clever detachable halo, which mans you get two different styles in one pair of earrings. What an excellent idea! To enter pop over to the Diamond Dealer Direct Facebook page and follow the instructions there, like their Facebook page, their giveaway post and tag a friend, it's as simple as that and you could be the recipient of a stunning pair of diamond earrings this Christmas. Don't forget too, someone has to win and it could be you! For full terms and conditions check out the Diamond Dealer Christmas giveaway on the Diamond Dealer website. Tell me, do you own piece of diamond jewellery? Will you be entering the competition? I'm definitely up for this - would love to win some diamonds any time! I love the idea of being able to separate the parts to make two completely different earrings. The earrings look stunning. I like they can be modified. The design is really nice. Those earrings are beautiful. I love the fact that you get two earrings in one. I think that is so clever. I've had diamonds a couple of times for Christmas, I have been very lucky. I love the way that they can be worn in two different ways.